This seems like a good tutorial. @Mineshopper I hope you can manage this. It doesn't matter how long we have to wait. While I don't know the full details of how these work, it seems like if such complex and stateful models can be implemented without truly horrid JSONs, the comparatively much simpler Carpenter's Blocks should be doable as well - after all, the number of model states a Carpenter's Block can be in is miniscule compared to a Chisels & Bits block, and a Carpenter's Block can only be textured *one* of any block type in the game, whereas Chisels and Bits can handle up to 752 arbitrary textures at once. Would you reconsider updating to 1.8.x/1.9? There are currently no plans to add redstone capabilities to the blocks, but it has been suggested before. Just giving a heads up that i'm using this mod in my modpack Evolving Technology. 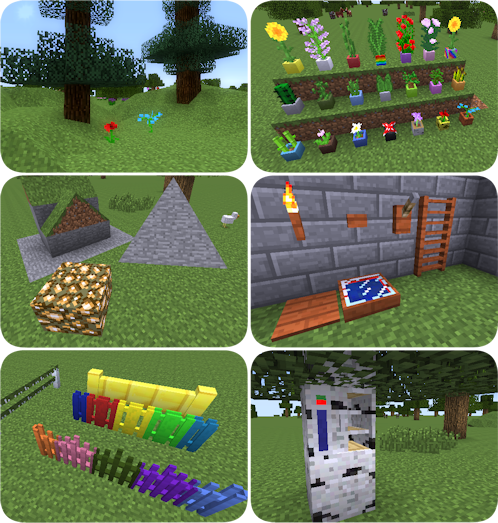 Please make the mod for 1.10.2. I do not need it for 1.12. I want to use the mod with skyfactory 3.